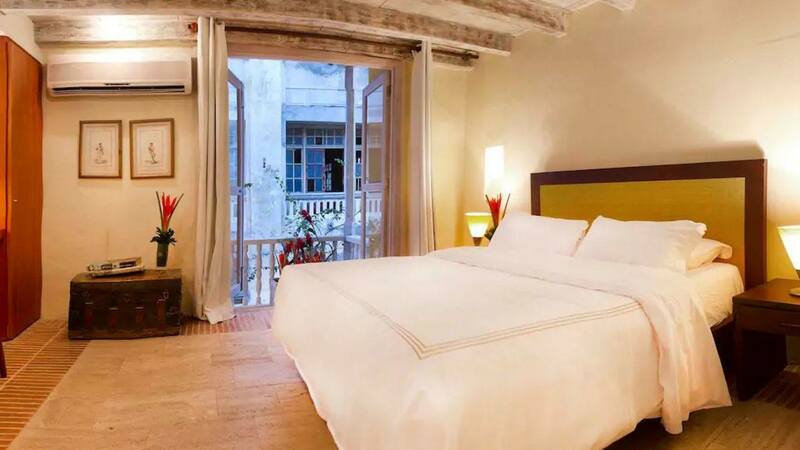 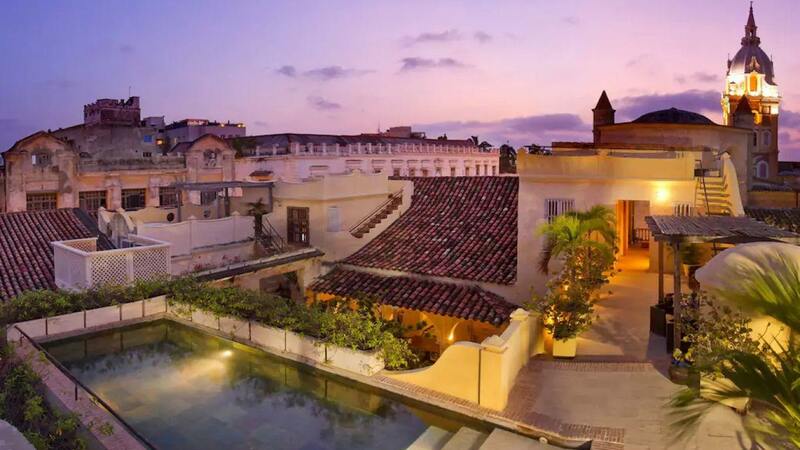 Villa Adriana is located in the Historical Center of Cartagena de Indias on the Plaza de La Proclamación with the Cathedral to its right and the Governor’s Palace to the left, and only a block away from Plaza de Bolivar. 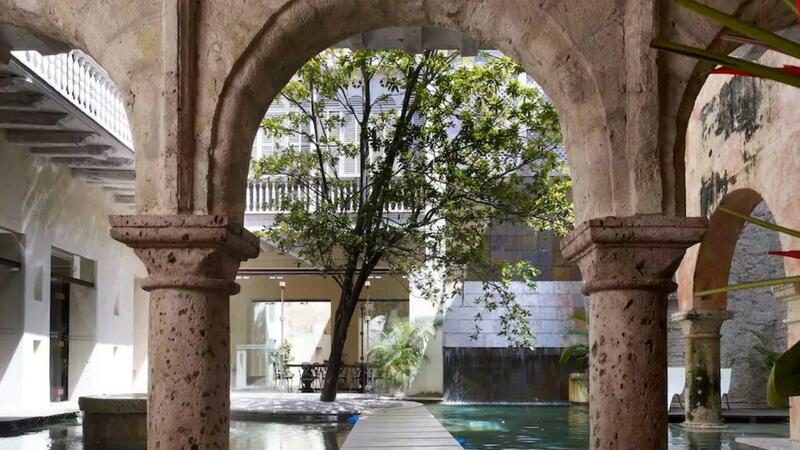 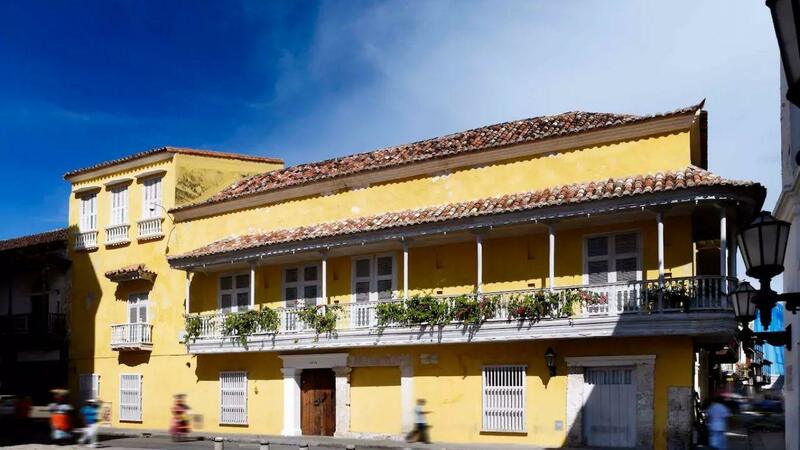 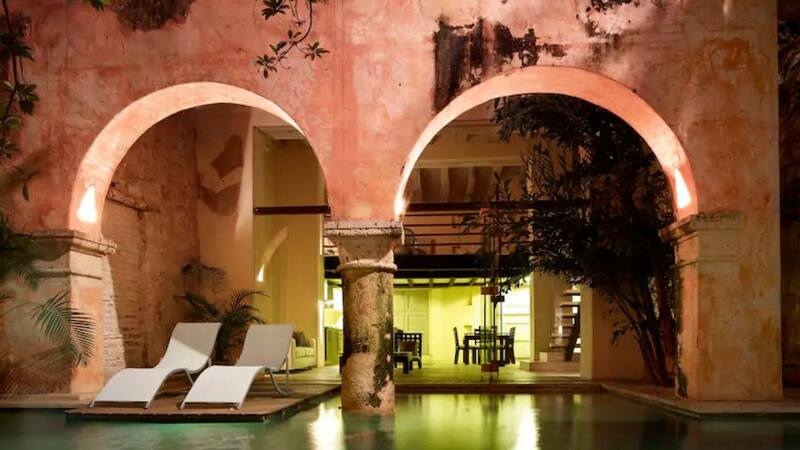 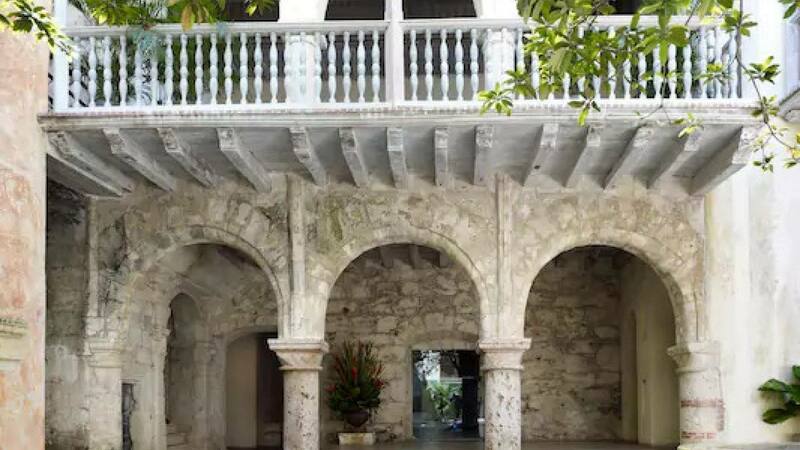 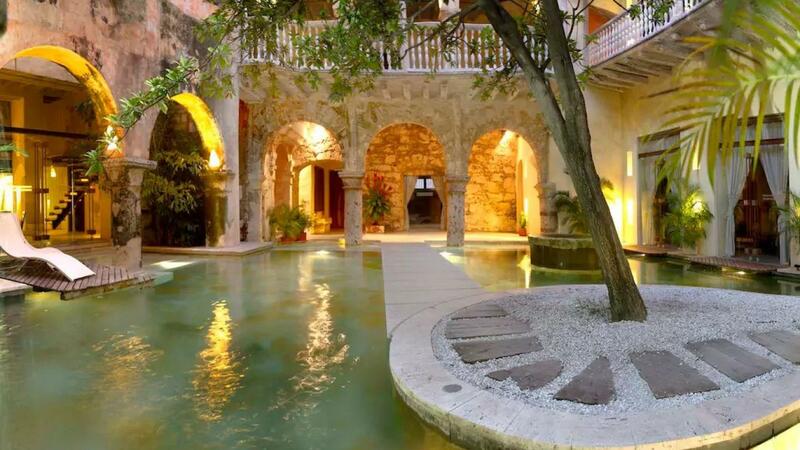 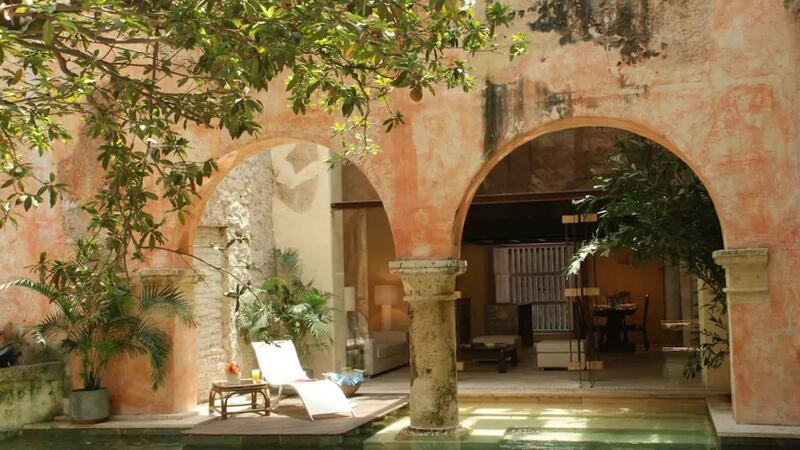 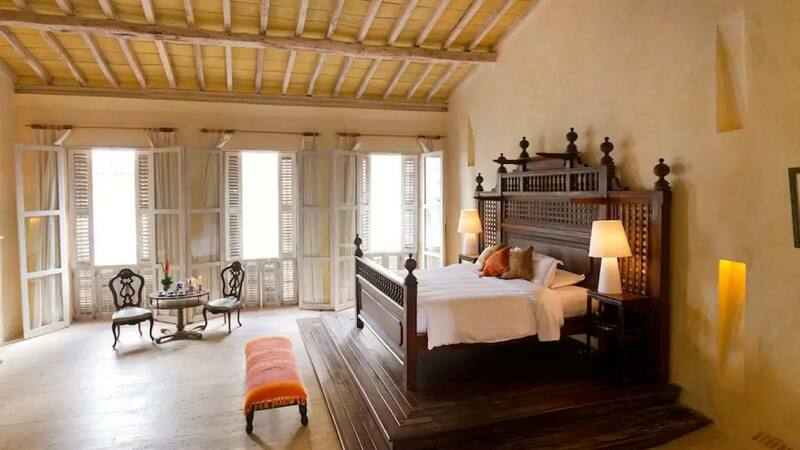 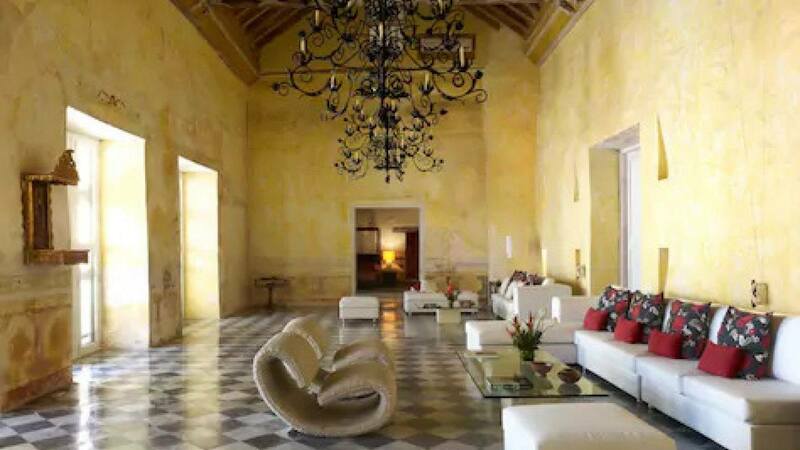 This majestic colonial mansion, originally built in the 16th century is one of the most prestigious and exclusive residences of Cartagena. 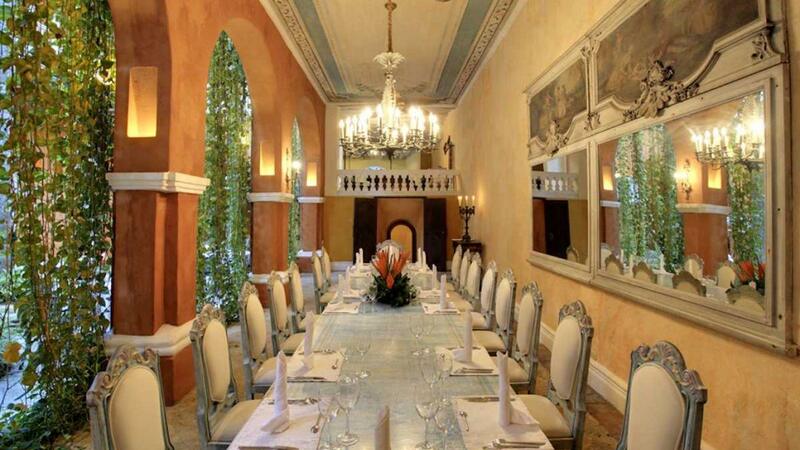 The colonial mansion is 15000 square feet, with great architectural detail and a contemporary twist. 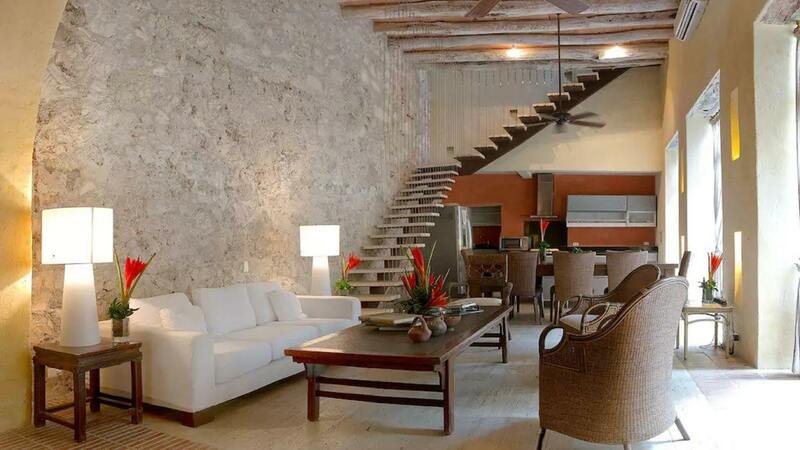 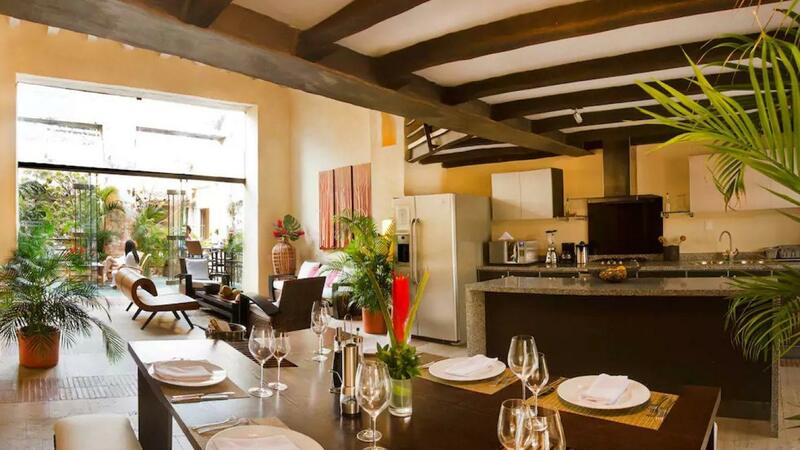 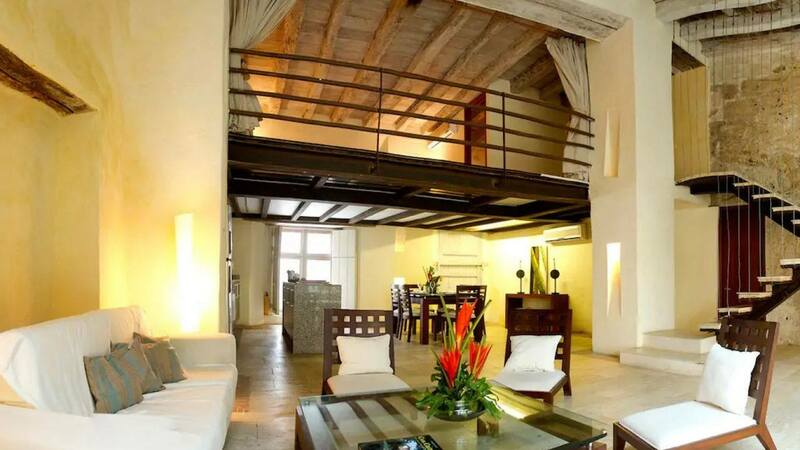 The spaces are designed as large loft spaces with colonial ceilings exceeding five meters’ height. 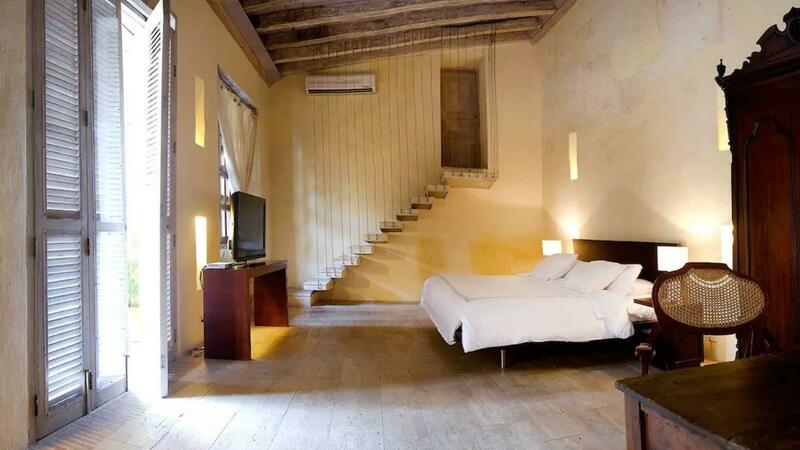 The property offers 15 bedrooms. 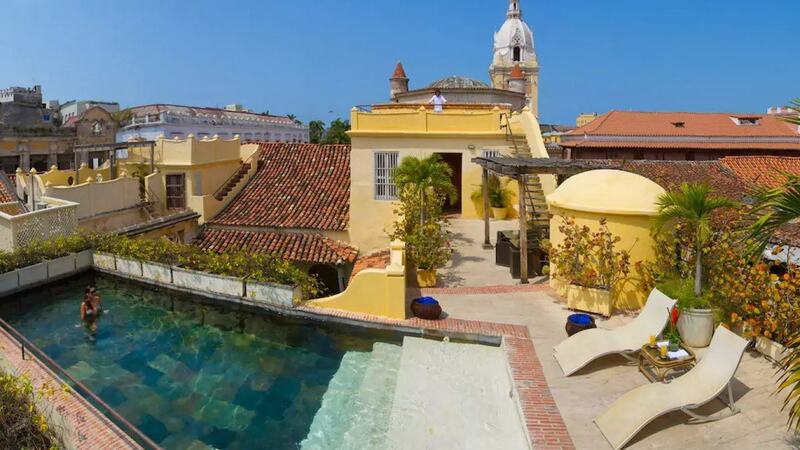 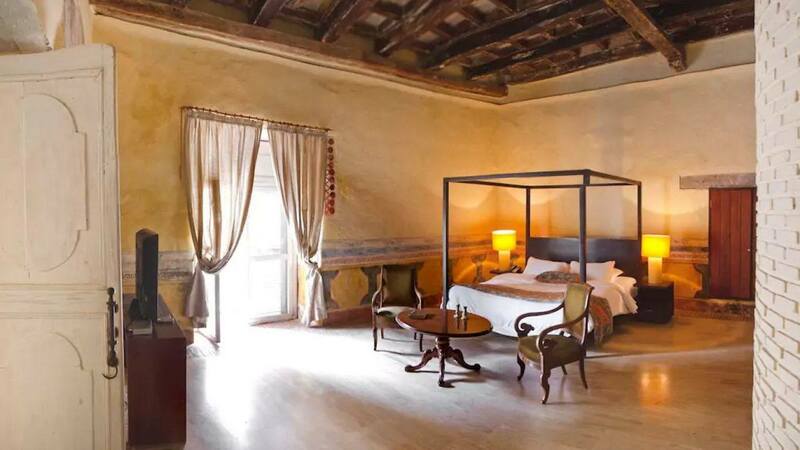 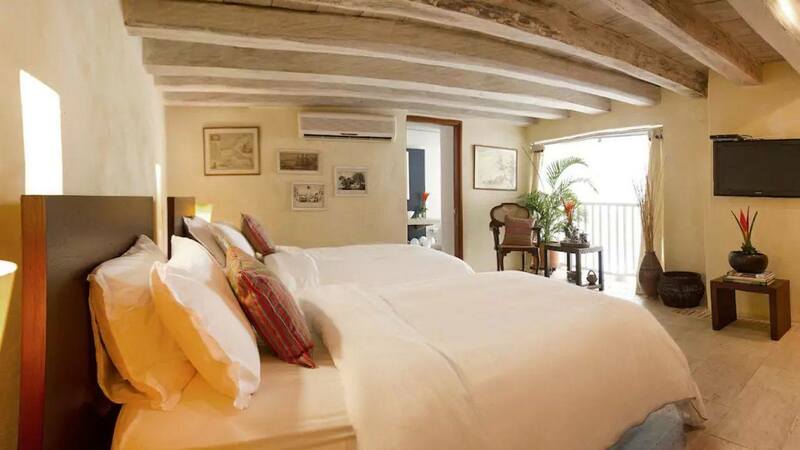 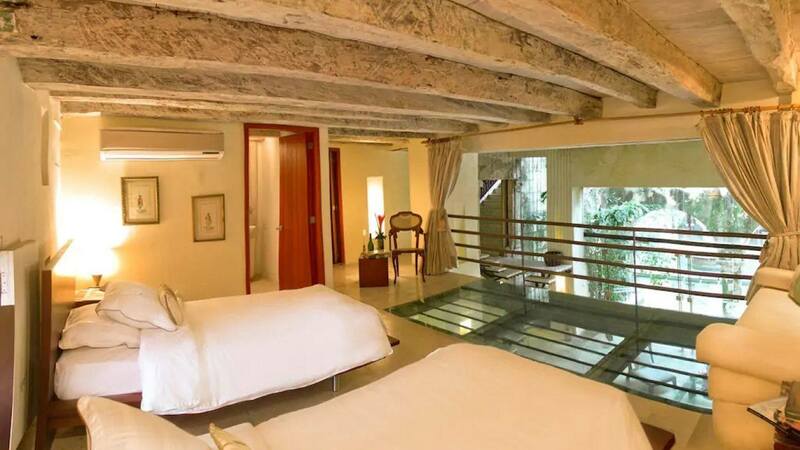 Most of the rooms have a private balcony, terraces and a rooftop mirador. 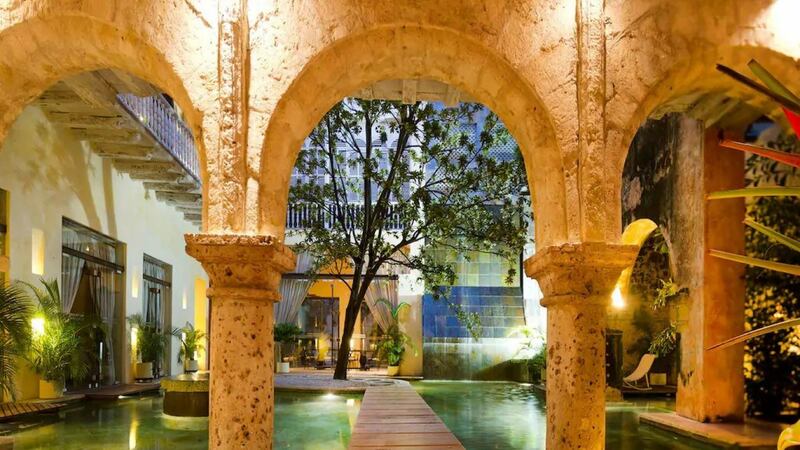 The rooms of the house enjoy views of the internal patio pool and share the use of the rooftop swimming pool with solarium. 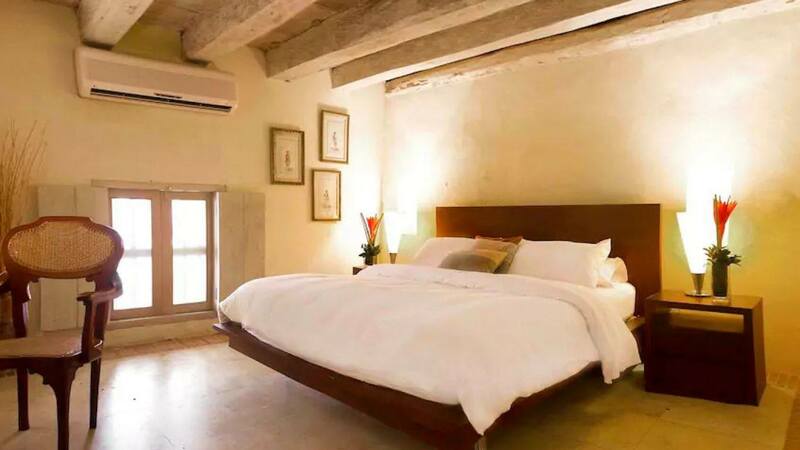 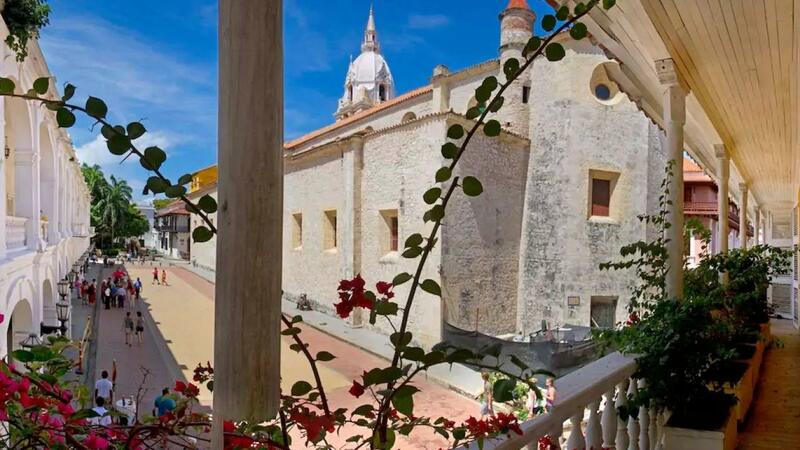 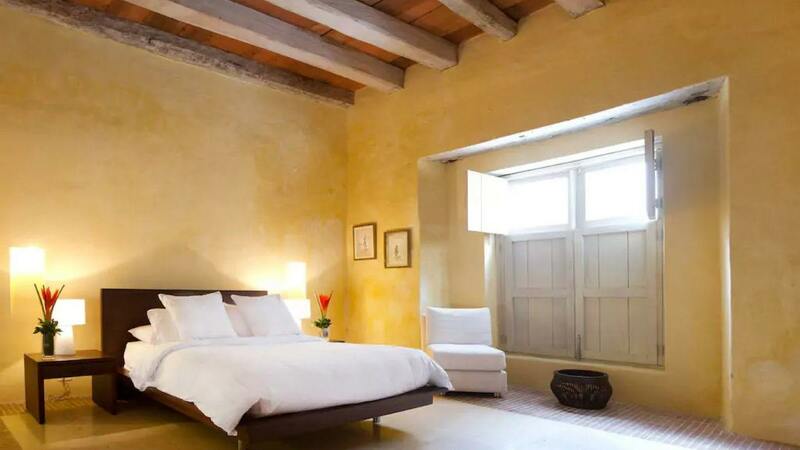 The renovation of the vills has been undertaken by Alvaro Barrera who is recognized worldwide for the renovation and re-design of colonial buildings in South America.